Daken imports and distributes the extensive range of Wolgari bale equipment, which includes balers and bale wrappers. The complete range of Wolgari bale equipment features a variety of round baler models that include the largest fully automatic model ideal for larger farms and contractors, as well as the classical models best suited to medium to small farms. 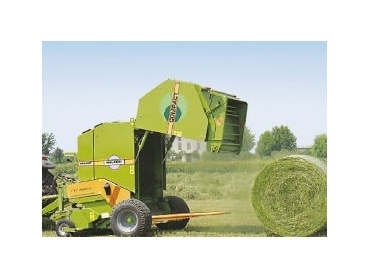 The range also includes a series of mini round balers suitable for small or hobby farms. These mini balers also offer an alternative to square bales. Daken also distribute a series of Wolgari Baler Wrappers that are suitable for all sizes and shape of bale. Three point linkage and trailing models for medium to small horse power tractors are currently available. The Wolgari range of round balers and baler wrappers from Daken, are designed to satisfy all need and requirements.